Situated on Highgate Hill, moments from the affluent suburbs of North London; this charming Italian eatery is the ideal setting for laid-back lunches, mid-week dinners and full-on feasts with the family. The restaurant is run by Fabrizio himself who spent his childhood working in his father's restaurant in Rome and later won the hearts of Hampstead locals at La Gaffe. His fans have followed him to the new restaurant to indulge in his speciality - a metre long pizza with four toppings of their choice - perfect for sharing. Other classic Italian dishes are available and fresh pasta is offered as part of a set menu every Thursday. The dessert menu changes throughout the week and features homemade delights like traditional tiramisu. Fabrizio Restaurant - London gyms, sporting activities, health & beauty and fitness. The best pubs near London Fabrizio Restaurant - London. 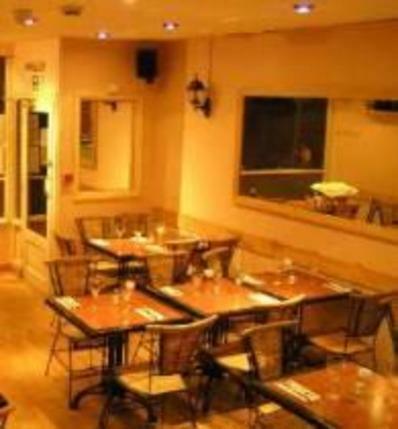 Fabrizio Restaurant - London clubs, bars, cabaret nights, casinos and interesting nightlife. Where to have your meeting, conference, exhibition, private dining or training course near Fabrizio Restaurant - London. From cheap budget accommodation to luxury 5 star suites see our special offers for Fabrizio Restaurant - London hotels, including Holiday Inn Express London Southwark from 53% off.